Do you wanna make some goodies? 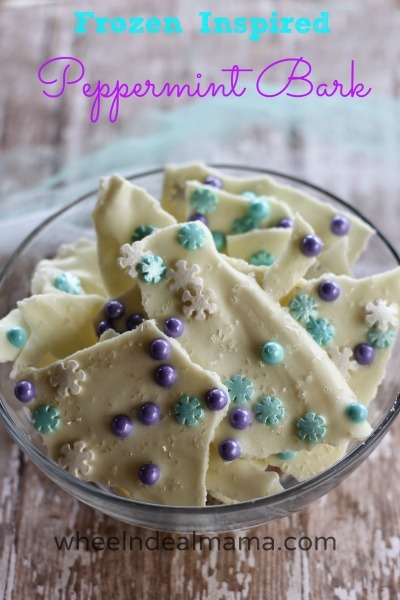 Peppermint and white chocolate bark? Sorry, it is going to be in your head the rest of the day. If you have a little one between 2 and 12 chances are you have heard the entire soundtrack of Frozen so many times it is already on replay in your head. Just give in, don’t fight it. Peppermint bark is one of my favorite Christmas goodies, this year I thought it would be fun to incorporate what must be the most popular animated movie ever. Judging by my daughters Christmas wish list anyway. I found these fun pearls, clear glitter sprinkles and pearlescent snowflake sprinkles in the baking aisle at Walmart. 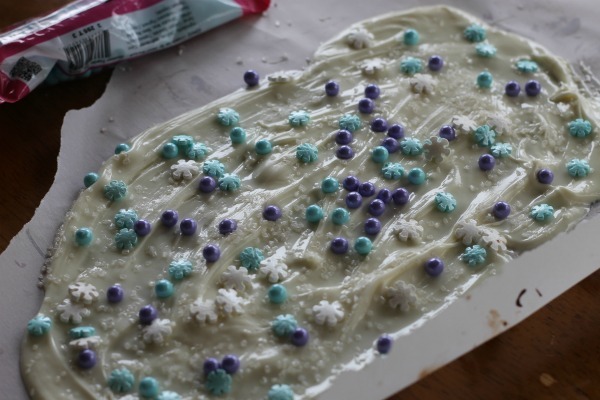 I think whether you are looking for a snack while watching Frozen, for a Frozen themed birthday, or just a new addition to your Christmas baking day this yummy peppermint bark fits the bill. 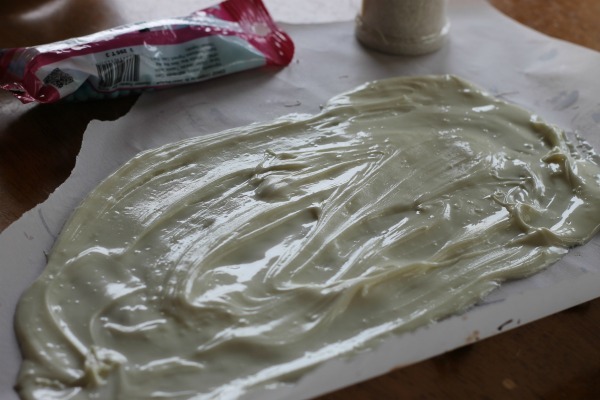 Spread a large sheet of parchment or waxed paper on a smooth surface. 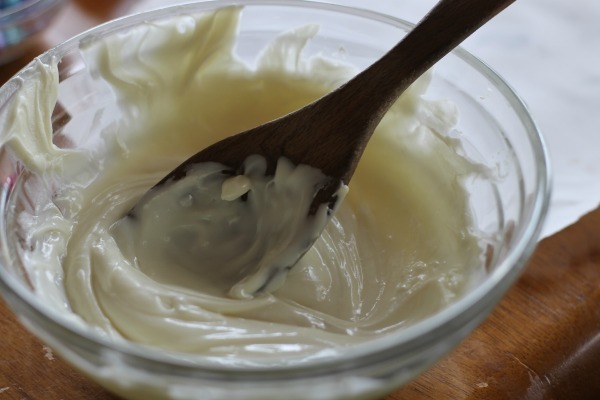 Melt white chocolate chips in a microwave safe bowl, heating for 30 seconds at a time, stirring frequently until fully melted. Spread melted chocolate thinly across waxed paper. 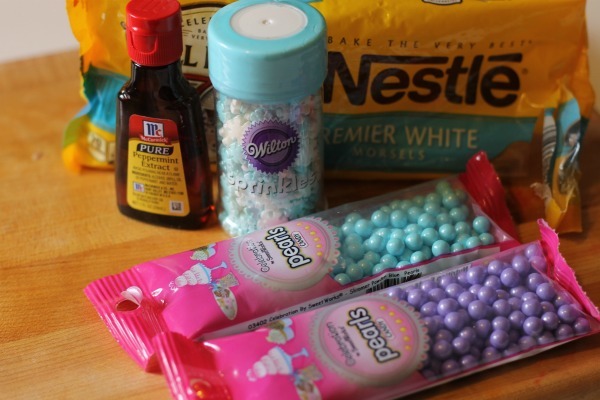 Immediately sprinkle pearls and snowflake sprinkles across the top of melted chocolate. Allow chocolate to harden completely then break into small pieces. We would really enjoy this delicious bark. Thanks so much for starting 2015 with Full Plate Thursday and have a great week.